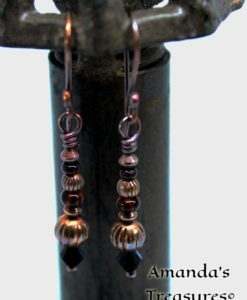 Beautiful jet black diamond shaped faceted beads are featured at the very tip of the hand-forged and torched headpins. 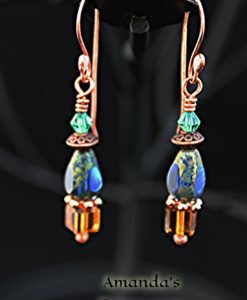 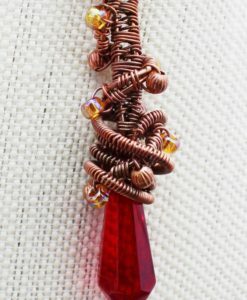 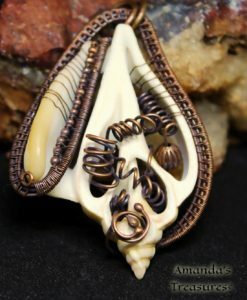 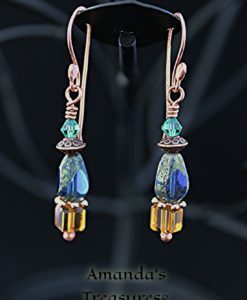 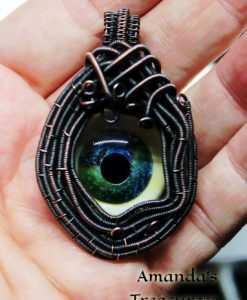 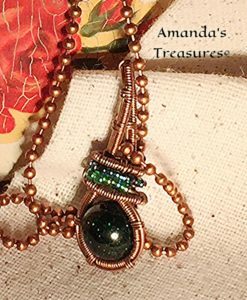 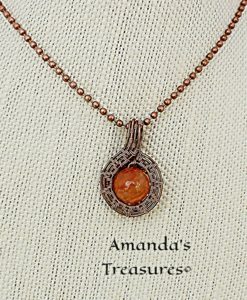 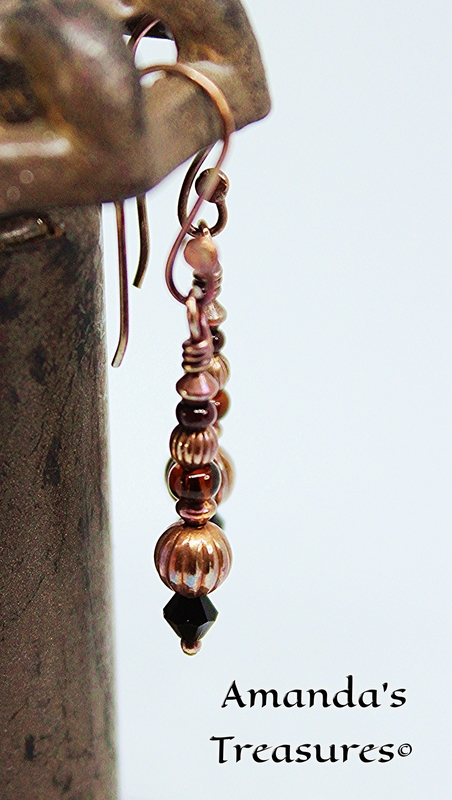 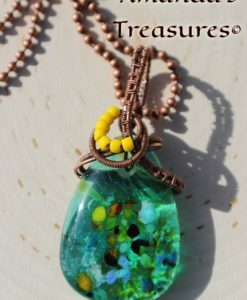 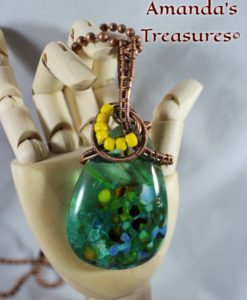 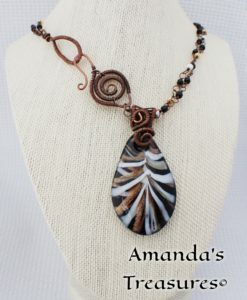 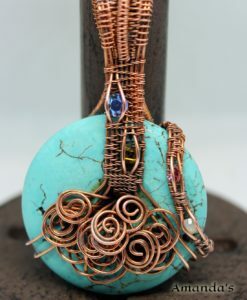 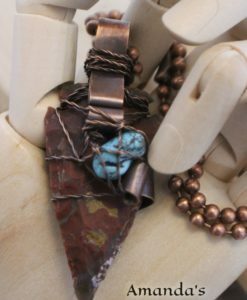 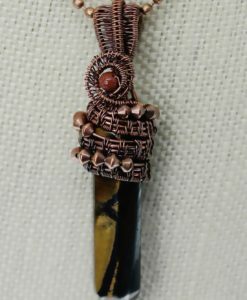 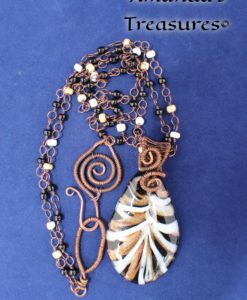 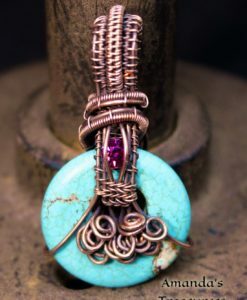 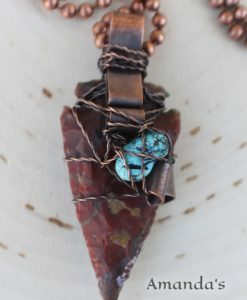 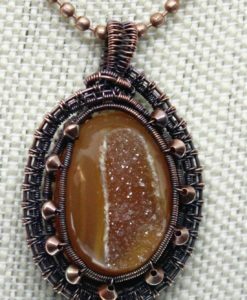 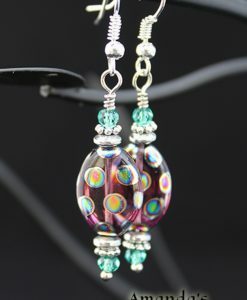 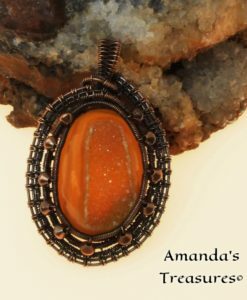 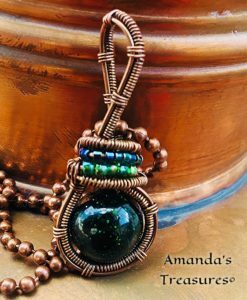 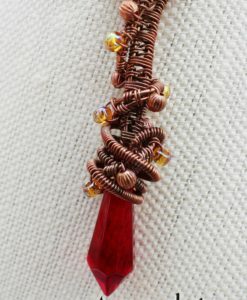 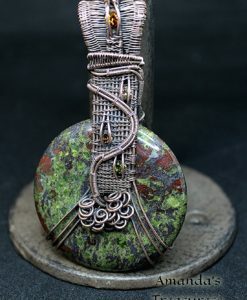 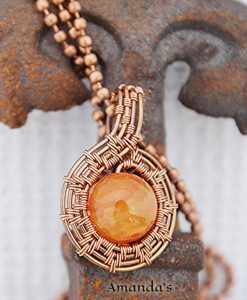 Many different types of beads are used in this design, fluted copper among them. 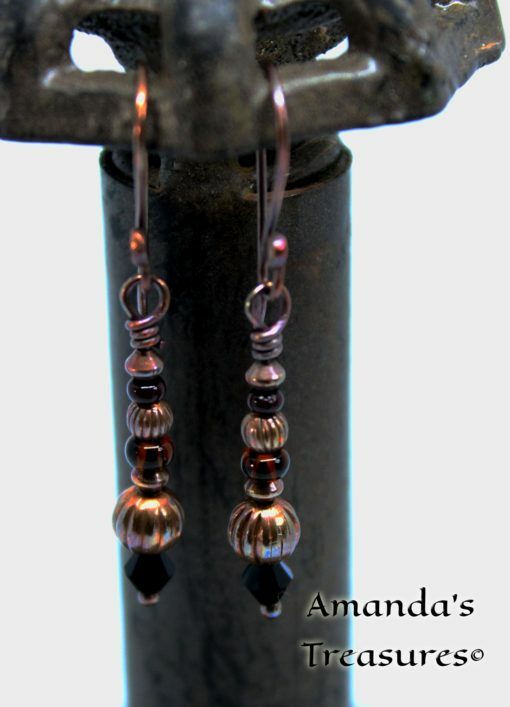 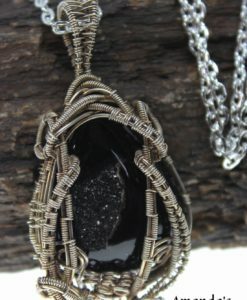 The ear wires along with the headpins are hand-forged and torched. 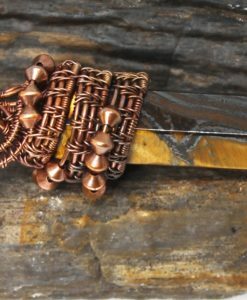 After torching the ends of the headpins and ear wires, each component goes through several processes. 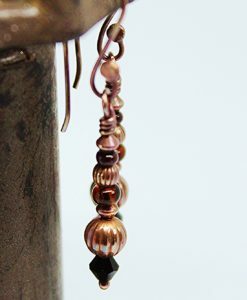 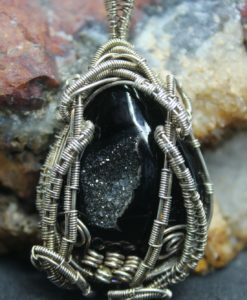 Making each component by hand is very time consuming but I like, when I can, to ensure each feature of the earring is custom made.